What Happened at the Festive Book Tasting? 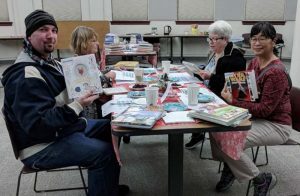 We love finding new ways to select a good book here at Tacoma Public Library, and that’s what inspired our first Book Tasting. Imagine a wine tasting, but with books instead of wine! 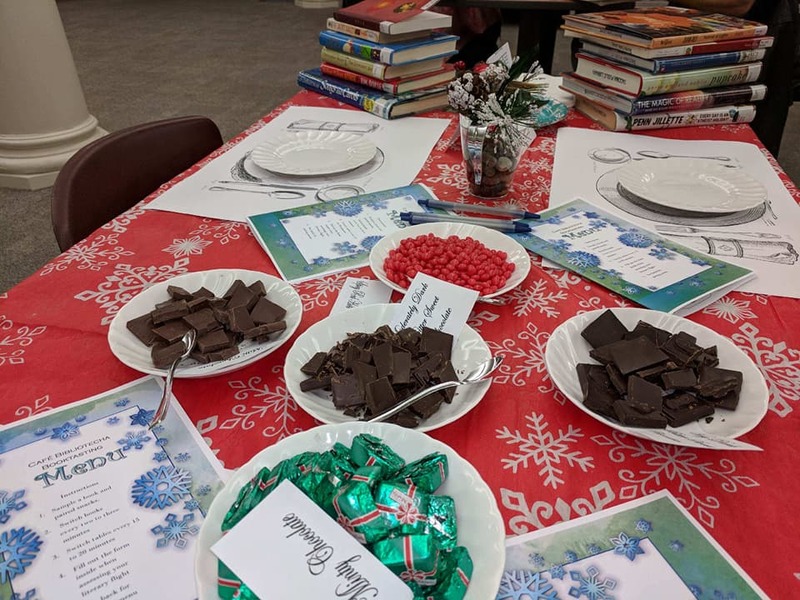 Our Festive Book Tasting on November 25, 2017 (3-5 p.m.) featured titles about winter holidays (from around the world), crafts, and cooking. Each category was paired with appropriate tasty treats. See those red hots? They pair quite nicely with a spicy holiday romance, or so we hear. Take a look at our fabulous table setting and a few of our wonderful attendees. 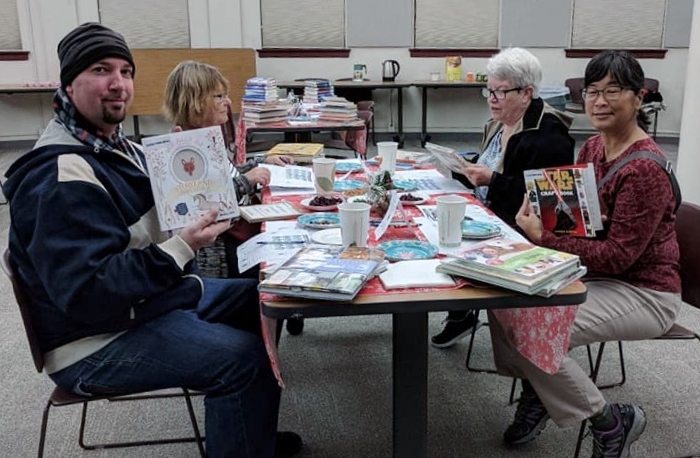 Not only did they enjoy the books and snacks, but the conversation was lively too!